Back by popular demand!!! 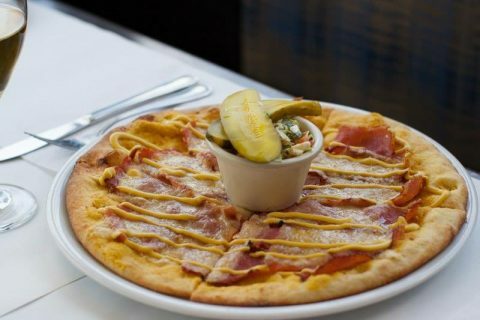 This smoked meat pizza has our executive chef intrigued with a sauce made of Dijon mustard and alfredo sauce and Emmental cheese. He decided to top it off with his homemade creamy coleslaw to astonish the foodie in all of us!! !